First in the world aerospace derived on-board systems for vehicles and boats — we develop, manufacture and sell digital instrument clusters and body control solutions. Prato Orage VIC — virtual instrument cluster. Graphical design — Bruno Prata. From your request to installation we take care about every stage of creation. We accept orders both for limited and unlimited series. For limited series we accept orders starting 4 devices. Virtual instrument cluster is embedded high-performance graphical computer. 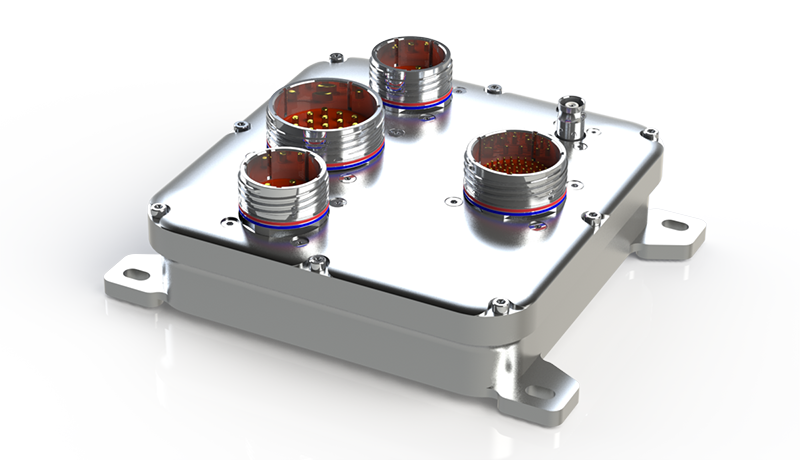 For superior reliability and performance our clusters have avionic aluminum housings, aerospace connectors and use components from leading manufacturers. Digital instrument cluster VIC Laplace Z. Specialized digital instrumentation includes engine and motor monitors — devices which can collect and display data related to engine or motor status. Body control solutions include variety of modules responsible for controlling body functions: lights, doors, windows, mirrors, seats, heat-ventilation-air-conditioning — HVAC. Linked togeather they create an on-board network of aerospace type. BCM Hertz Z — body control module, central computer. All our control modules have sealed, hard anodized avionic aluminum housings, aerospace connectors and utilize components from leading manufacturers. On limited budget we will take any custom-tailored module from specification to ready for production state in four months. Hardware, housing, graphics and programming are included.